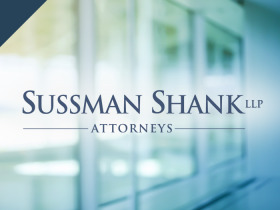 Sussman Shank LLP's restructuring, commercial litigation, and insolvency expertise also extends to assisting health care businesses and related entities. We have expanded our practice to assist parties involved in healthcare restructuring, including debtors, governmental and private creditors, asset purchasers, and sellers, both within and outside of Chapter 11 cases, including out-of-court debt and company restructuring and workouts. In this highly-regulated area, we have assisted clients with financial and other problems arising from governmental compliance issues, as well as in commercial litigation disputes. The Health Care Restructuring Group also works with the firm's Long-Term Care and Senior Housing professionals in managing the challenges of distressed real estate transactions, mergers, and acquisitions.